The Seniors got back to winning ways on Saturday evening in a tough game in Donegal Town where they trailed for most of the game but came through by a goal in the end to win 1-11 to 0-11. The Reserves good run was brought to an end in their game where they were beaten by a single point 1-06 to 0-08. The Juniors were due to play St. Michaels but the men from the bridge were short a few players so a friendly was played insyead. 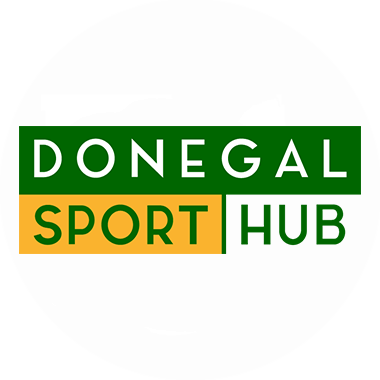 All teams are free this week due to Donegal’s involvement in the Ulster Final v Down on Sunday. The Senior Hurlers had a terrific win over MacCumhaills in the Championship last Wednesday in Ballybofey, winning by a point, they take on holders, Burt this Wednesday in the Park, throw-in is at 7:30pm. All support would be welcome. The Minor hurlers relinquished their crown last week when they were defeated by a very strong Buncrana team, nevertheless the team had a good season. The Minor Football Northern League Final due to be played last Friday was postponed and will be reaffixed in the very near future. The U14 footballers begin their Championship campaign next Monday (23rd) with a home game against St. Michael’s. They have reached the Div. 1 League Final after a good win over Four Masters, they will face Naomh Conaill in the decider. The U16 and U12 hurlers had impressive wins over Carndonagh last week. U-13 Boys football training gets underway at 5pm this Friday (20th) at 5pm. Beidh Cúrsa Cuimhneacháin Shéamuis de Faoite ar siúl ó’n 23ú go dtí an 28ú Iúil sna Dúnaibh. The annual Irish language course in Downings which is now named in honour of the late Séamus de Faoite (A former Oifigeach na Gaeilge with Naomh Adhamhnáin) takes place in Downings GAA centre next week from the 23rd – 28th July. Uachtarán CLG, Liam O’Neill will carry out the official opening on Monday morning and one of the highlights of the week is the scór concert which takes place on Wednesday in Downing GAA club at 8.30pm. This is a tremendous opportunity for anyone who wants to either learn Irish or improve their Irish language skills to avail of the opportunity to do so by attending this course which is run by Comhairle Uladh CLG. For further information please contact Fergus McGee. Our Football Summer Camp takes place from this Monday, July 23rd. There is no Sunday Morning Football Academy this week (22nd) due to Donegal’s involvement in the Ulster Final. There were 7 winners in this week’s Lotto Draw, with each winner getting €15. The numbers were: 1-2-13-20. Pat McClafferty c/o An Post; K. Mullen, Ballyraine Park; Sean McVeigh, Windmill View; Jack McLaughlin, Port Rd. (all Adrian); Benny Doherty, Foxhills; Kevin Rafferty, Thornberry and Brian McDermott, Kilmacrennan (all cards). Next week’s jackpot is €2,125. We are looking for volunteers to help with this Saturday’s bucket collection fundraiser for the county football team training fund. We have the afternoon slot (the Gaels are doing the morning) around the town as well as all day (10am – 5pm) in the Shopping Centre. Contact Elaina on 087-2901541 to book your preferred time and place.